Canadian geese and swans at the Three Sisters, just been fed by passers by. 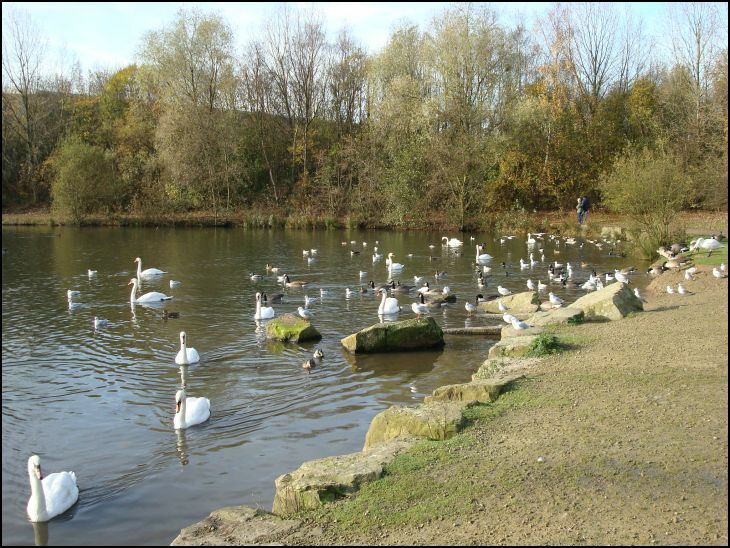 My family like taking our dog there - she enjoys having a swim - don't think the ducks, swans and geese mind too much! There's even a hose pipe there to wash away the mud - our dog has a great shower after a swim and a walk/run. I used to go there on by bike over the canal and flash. Is the bike track still there ? I used to do the same Jon....up the canal and over to the sisters. Used to swim in that same pond there....Memories.